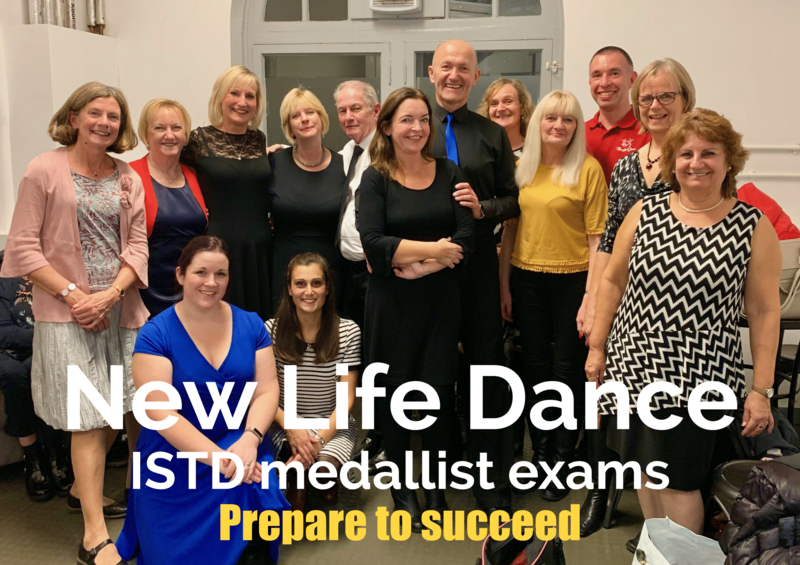 At NewLifeDance we are passionate about our dancing but know that people joining are often a bit nervous about taking those first steps, so we gently take you from no prior knowledge to becoming a very competent dancer with improved posture, flexibility and confidence. NewLifeDance do this through classes, workshops, social dances, private lessons and special events. Dancing gives you confidence, improves your health and social life. It can be very addictive. 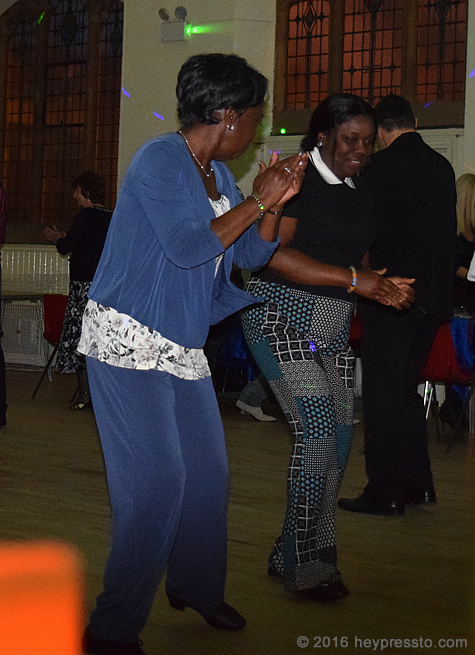 Although NewLifeDance is a social Dance Club, we are somewhat different to others in that our main aim is to improve people’s lives and the way we do that is through dance. We love you to come to our events, but more than that we want our classes, workshops and events to be uplifting and improve your life. 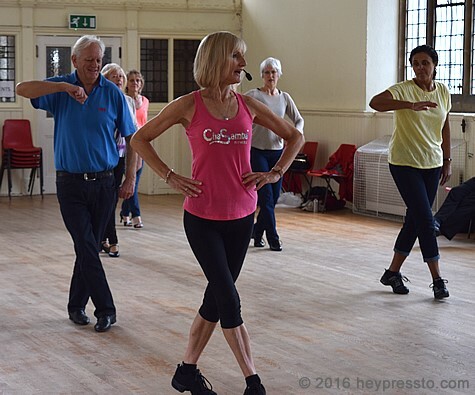 Dancing is a fabulous way to improve your fitness, meet new people and learn a new and sociable skill. It will enhance your posture and improve your co-ordination to say nothing of boosting your memory and having fun when going to any occasion involving dancing.. and some that don’t! NewLifeDance can gently take you from absolute basics to competent dancer and beyond at a pace to suit you. Dances include: waltz, quickstep, social foxtrot, slow foxtrot, ballroom tango, viennese waltz, rumba, cha cha, ballroom jive, rock jive, samba, pasodoble along with some Argentine tango, modern jive and salsa. Elaine teaches Chasamba (no partner needed) to improve your fitness even more. 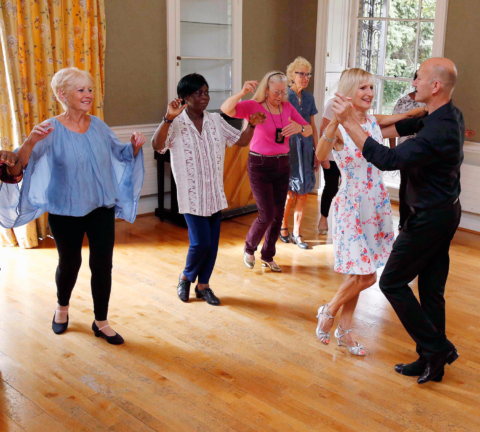 Our classes are relaxed and friendly but aimed to give you the very best dancing skills, which we hope you will use anywhere, including our own Monthly social at a great venue. NewLifeDance run weekly classes in Enfield, Winchmore Hill and Millfield House in Edmonton. 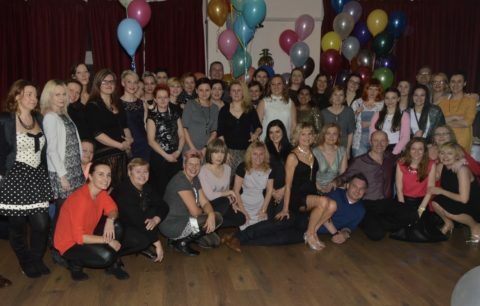 NewLifeDance are the sole providers of Ballroom and Latin classes for Enfield Council, for which we won a provider of the year award. 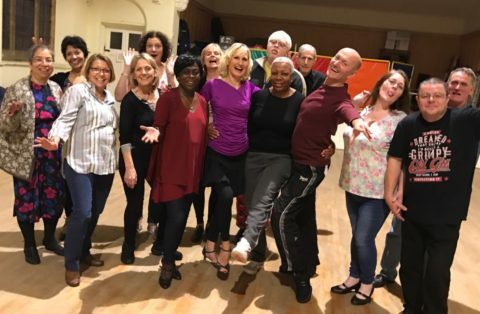 NewLifeDance regularly run workshops; usually two and a half hours long working on a single dance (for example, waltz or jive) about once a month. See What’s on for the list of workshops, dances and events. 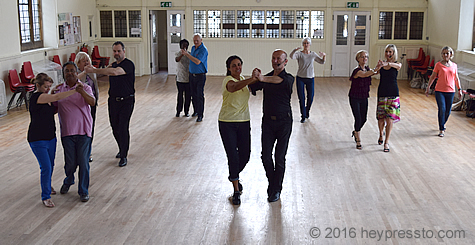 Workshops are great to gain the ability to confidently take a dance onto the floor. These are a just few of the things people have said about our classes: ‘Patient and full of positive encouragement’, ‘Offering personal support every step of the way’, our classes have ‘an atmosphere of friendly, relaxed fun and positivity’. or click BetterLifeDancing or Elaine's Chasamba to view Facebook pages. Alternatively click here to book social dances and workshops. Please see What's On! for any alterations or changes. We are affiliated to the Imperial Society of Teachers of Dancing (ISTD). They bring so much joy to people of all ages and ability – we are lucky to have them working in Enfield! Clear, concise instruction given with patience – personal support every step of the way!